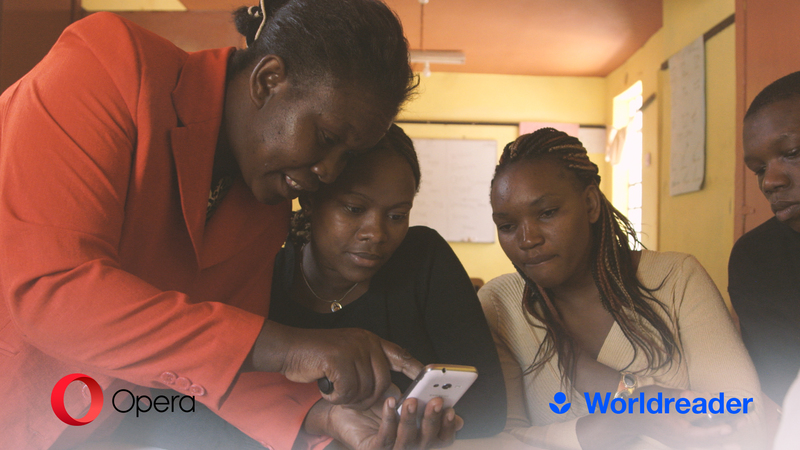 Together with digital reading non-profit Worldreader, we have joined forces to understand how women in Africa use mobile internet. 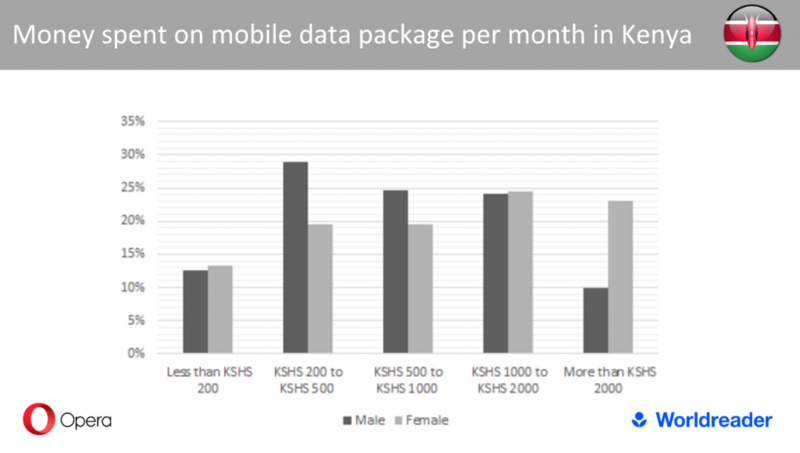 We have found that women in Africa use more mobile internet to empower themselves. 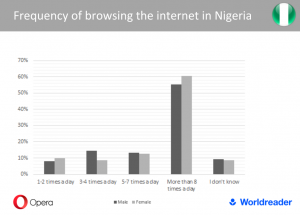 When it comes to browsing the internet using their mobile phones, women are using their browsers as often as men, with the majority of female survey respondents in Kenya and Nigeria (60%) stating that they access their mobile browsers more than eight times a day to do various internet activities. 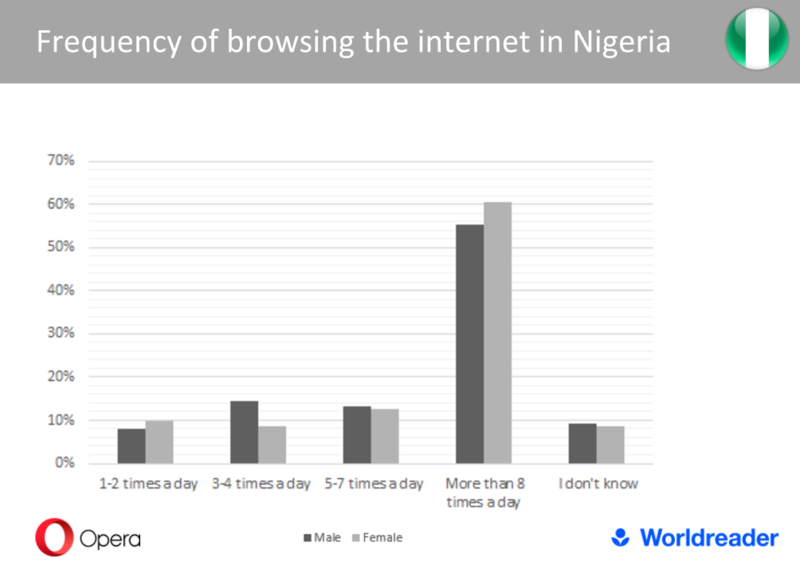 We also found that women in Nigeria, Kenya, and South Africa engage with the wider variety of content available on the internet than men. Female respondents on average showed a higher percentage of interest for nine out 15 topics. Similarly, Worldreader observes that women are on average accessing more e-books than men using their e-book reading platform. Not only that, Worldreader reports that their female users are reading three times as many pages on average as their male counterparts. 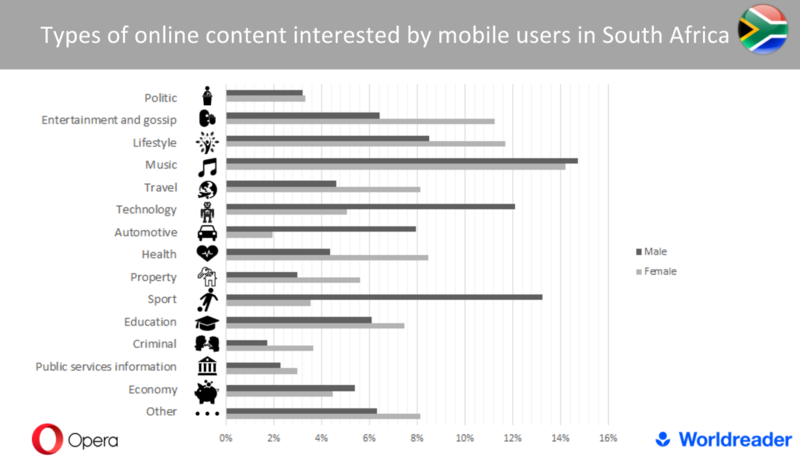 Empowerment is another major motivator for women using their mobile phones to access the internet. According to our survey, women are more engaged than men with content that can improve their lives, including content related to education, economy, property rights, public services, and health. 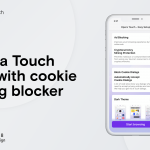 In all three countries a higher percentage of women than emphasized the need for having access to news via their mobile browser. 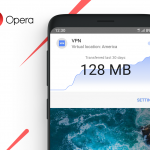 A true story revealed by Worldreader shows how women in Africa utilize the web through Opera Mini to educate themselves.